As Washington focuses on improving our nation’s critical infrastructure, broadband needs to be a key component of those plans. Why? Rural broadband providers contribute billions of dollars to the U.S. economy and support billions of dollars in e-commerce. The rural broadband industry supports nearly 70,000 jobs. Members of NTCA–The Rural Broadband Association serve rural customers in 45 states, covering 37 percent of the nation’s landmass. Rural broadband providers collaborate with local leaders on broadbandenabled solutions. TAKE ACTION! bb Sign up to be an advocate at www.buildbroadbandwithus.com. bb Follow and share at www.twitter.com/NTCAconnect and www.facebook.com/NTCARuralTelecom. bb Contact your U.S. elected officials and let them know that “I am served by a rural broadband provider, and I know firsthand the positive impact this vital service has on a community. Please include rural broadband in your plans as Washington focuses on building our nation’s infrastructure.” (For contact information for your U.S. senators and U.S. representative, visit www.usa.gov/elected-officials). 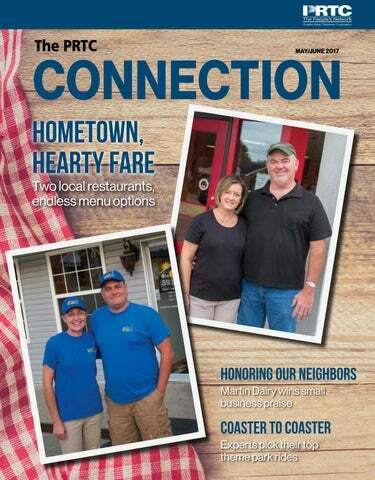 On the Cover: Both Opal’s and the Ole Bus Stop Diner are popular local restaurants, feeding hundreds in Jackson and Owsley counties daily. See story Page 12. You never know what you might walk away with when PRTC is at an area event. Tasha Morris won an Amazon Fire TV Stick, and Virgie Moore won an Amazon Kindle Fire. They had attended the “Parenting the Snapchat Generation” speech by Jerry Ackerman at the Jackson County Area Technology Center Auditorium. Owsley County student Larry Callahan won an Amazon Fire Tablet at the Owsley County Schools Career Fair. PRTC offices will close Monday, May 29, to observe Memorial Day. Get ready for some pickin’ and grinnin’ The 21st annual Stringbean Memorial Bluegrass Festival is June 15-17, at the Stringbean Memorial Park in Tyner, Kentucky. PRTC members may soon notice a different look for their monthly bill from the cooperative. While the new look may be one of the only noticeable changes, PRTC has been working to consolidate and upgrade its billing systems over the past year to better serve its members. Be on the lookout for the change when your new bill arrives in your mailbox. he anticipation is heartthrobbing. There’s nothing between you and the ground but a metal bar across your lap as the train of terror rises to the top of the first drop, the grinding and creaking of machinery heard above the screams. Higher and higher you go; your heart is pumping. Do you dare look down? Then, suddenly, you’re in a free fall, jerking ’round and ’round, down and under, sometimes upside down. Before you know it, you’ve stabilized. Then in front of you is another mountain to climb, and in the distance you see rails that seemingly defy gravity. Are you ready to take the ride? We asked four people — all of whom have nerves of steel and find death-defying coaster rides a pleasant way to spend the day — about their favorite roller coasters around the South. for a few seconds, giving riders a chance to reconsider their lives before the big plunge,” he says, adding that the ride gives you a great view of the James River if you can open your eyes long enough to see it. hroughout its history, PRTC has been led by distinguished individuals who have helped bring a world-class telecommunications infrastructure to Jackson and Owsley counties. At the forefront of each of these decisions to deliver the latest communications technology is the PRTC board of directors. As a way to educate PRTC’s members about its board of directors and to highlight the people who advise the cooperative, PRTC will have a story about each board member in this magazine throughout the year. Nelson Bobrowski Unlike many who can find the roots of their family tree spread throughout Eastern Kentucky, the last name Bobrowski is not synonymous with Jackson and Owsley counties. “It doesn’t fit in too well with Eastern Appalachia,” PRTC board treasurer Nelson Bobrowski says jokingly. Bobrowski’s father was born in Poland, and his mother was born in Ukraine. His parents met after immigrating to Canada. Shortly after they married, they moved to Mendota, Illinois, where his father attended a United Methodist Church seminary. With his father working as a minister, Bobrowski and his family moved every few years. With six children in tow, the family stopped in Booneville just before the start of Nelson’s junior year of high school. “The church asked my father to stay here 14 years and rebuild the churches in the area,” says Bobrowski. “Some of us got tired of moving, and so we put down roots here.” While watching his parents work to improve each community in which they lived, Bobrowski saw the fruits of hard work blossom over and over throughout his life. His parents taught him, “Wherever you end up, work to leave it better than you found it.” Taking the lesson to heart is something he’s tried to do his whole life. Nelson Bobrowski, treasurer of PRTC’s board of directors. Jack, left, and Grant Martin were selected by PRTC as the Small Business of the Year. “My wife and I moved back home in 1968, and my sister and her husband had a cow for sale. I decided that would be a little extra income for us. Well, that bought our groceries, and I thought I might as well get a few more. So, I ordered 30 more heifers,” owner Jack Martin says. “We really like all of it, but I somehow enjoy the milking part of it. I’m going to have to have my knees replaced real soon, so it’s painful for me. But I really enjoy milking. My son, Grant, and I also pastor a church together at Three Links Christian Church, and we really enjoy that,” Martin says. “There are many reasons for it, mainly it helps local people. With me and my business, it helps me to buy things from people that I know, so I know where it’s coming from. It helps the local economy, it helps local people, and it just helps all the way around,” Martin says. A key question for modern parents What age is appropriate for the first mobile phone? For more information on this topic, go to www.commonsensemedia.org and look under Parent Concerns. They have a whole section dedicated to cellphone parenting. CARISSA SWENSON IS A TRAINING AND EDUCATION CONSULTANT FOR CONSORTIA CONSULTING. If you think your child is old enough to need a cellphone, the GizmoPal by LG may be the place to start. Wearable as a watch, the phone allows your child to call parents and allows parents to see where they are. GizmoPals are available at Amazon, Verizon and Best Buy starting at $75 plus subscription. over homes with a top speed of less than 25 Mbps. That’s an average difference of $5,437, or about the same as adding a fireplace. People who live in multifamily housing units, such as apartments and condos, say fast and reliable internet service is the single most important amenity — more important than cable TV, a pool, security and workout facilities. For landlords, giving renters access to fiber broadband can increase resident satisfaction and reduce churn. In apartments and condos, renters frequently spread the word about better broadband access, bringing in more renters. of homebuyers used the internet to find the house they purchased. That’s $40 per month on a $500 monthly rent payment. Sources: Fiber to the Home Council. 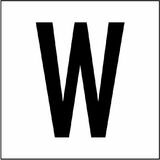 National Association of Realtors. “Speed 2.0 Evaluating Access to Universal Digital Highways” Gabriel M. Ahlfeldt Spatial Economics Research Centre & London School of Economics. “Reevaluating the Broadband Bonus: Evidence from Neighborhood Access to Fiber and United States Housing Prices,” Gabor Molnar, University of Colorado at Boulder. Opal’s is famous for its fresh, hand-patted cheeseburgers. or budding entrepreneurs who hope to find success, the restaurant business is known as one of the most difficult. A suitable location and good staff can be hard to find, not to mention a menu that keeps people coming back — especially in a small town. Simply put, in Jackson and Owsley counties, a restaurant won’t last long if it isn’t good. But for two area restaurants, Opal’s Restaurant in McKee and the Ole Bus Stop Diner in Booneville, the owners keep customers’ plates full and history alive. For both sets of business owners, there is the satisfaction of running a restaurant that brings the area’s small-town atmosphere to life. Hundreds pack Opal’s, located in downtown McKee, every day. view of his role, calling himself the “chief taste tester.” But, he quickly attests to his wife’s skills in the kitchen, joking that he married Kathy for her famous butterscotch pie. Ole Bus Stop Diner »» 64 Mulberry St. Booneville, KY 41314 »» 606-593-5720 »» Search for “Ole Bus Stop Diner” on Facebook. »» Started in 2011 as Hometown Restaurant by owners Kimberly and Jason Reed, the restaurant moved and became the Ole Bus Stop Diner in 2014. Patrons return to the Ole Bus Stop Diner often for the homestyle cooking and affordable prices. Kimberly Reed prepares a plate for a customer during the dinnertime rush. »» When you order, Jason Reed says you can’t go wrong with open-faced roast beef and the peach cobbler with ice cream. CONTINUED GROWTH WITH ONLINE HELP As with most businesses, the internet has changed how restaurants function. From ordering food and supplies online to posting daily specials on social media, both Opal’s and the Ole Bus Stop Diner have seen direct growth in the internet age. “Everything has changed dramatically over the last 30 years,” says Kathy Carpenter. With the TransAmerica Bicycle Trail running through both Jackson and Owsley counties, many visitors find themselves in the thick of the Daniel Boone National Forest area and searching for a good bite to eat. David Poulton is executive chef at Boone Tavern, where a farm-to-table mission — and its famous spoonbread — keeps patrons coming back to the historic restaurant. favorites such as “Pork Chops the Tricky Way” (pork loins breaded with tomato and Parmesan) served with cheese grits, braised greens and mustard cream, as well as lamb meatloaf served with mashed butternut squash, local wild mushrooms, balsamic glaze and cucumber yogurt sauce. Both dishes have roots in Appalachia, but you’ll find them on the menu alongside seared scallops with asparagus and ricotta ravioli or a dish with an Asian influence — tempura salmon with papaya honey glaze and a wasabi drizzle. For those unable to make the trip to Berea to sample the dishes — and the spoonbread — Poulton is happy to share some of the inn’s recipes.  FOOD EDITOR ANNE P. BRALY IS A NATIVE OF CHATTANOOGA, TENNESSEE. Grease a 9-inch round cake pan with some of the softened butter. Cut out a parchment paper circle to fit inside the pan, nestle it into the bottom, and grease the paper with the remaining softened butter. Set the prepared pan aside. In a 2-quart saucepan, scald milk (do not allow to fully boil), whisking occasionally, over high heat. While whisking, pour in cornmeal in a steady stream. Whisk vigorously to incorporate the cornmeal, about 1 minute. Remove pan from heat and set aside to let the cornmeal mixture cool to room temperature. Heat oven to 350 degrees. Transfer the cornmeal mixture to the bowl of a standing mixer fitted with paddle attachment. Add the remaining butter, baking powder, salt and eggs and mix on medium speed until the mixture is uniform and aerated, about 15 minutes. Pour batter into the prepared pan and bake until golden brown and puffy and a toothpick inserted in the center comes out clean, about 1 hour and 20 minutes. Serve immediately with butter. Mashed butternut squash: 2 cups cubed butternut squash (peeled and seeded) 2 cups cubed baking potatoes (peeled) 2 tablespoons butter 1/2 cup warm milk Salt and pepper, to taste Cucumber sauce: 8 ounces plain Greek yogurt 1/2 cup grated seedless cucumber 1/4 teaspoon onion powder Salt and pepper, to taste Balsamic-glazed mushrooms: 2 cups mushrooms (rough chopped) 1 (8-ounce) can beef gravy 2 tablespoons balsamic glaze Olive oil For meatloaf: Saute onion in olive oil until translucent. Add all dry ingredients and simmer 2 minutes. Let cool.